Relish the memory. : A Testament to Tofu. Tofu is a tough one. Despite not being at all tough in texture. Getting it right is the tough part. Good tofu can be exceptional. And bad tofu, can be very, very average. Most people are either all FOR or all AGAINST this intricate food. Along with copious vegans, vegetarians and adventure foodies out there, with my recent tofu experiences I would happily consider myself a tofu groupie. 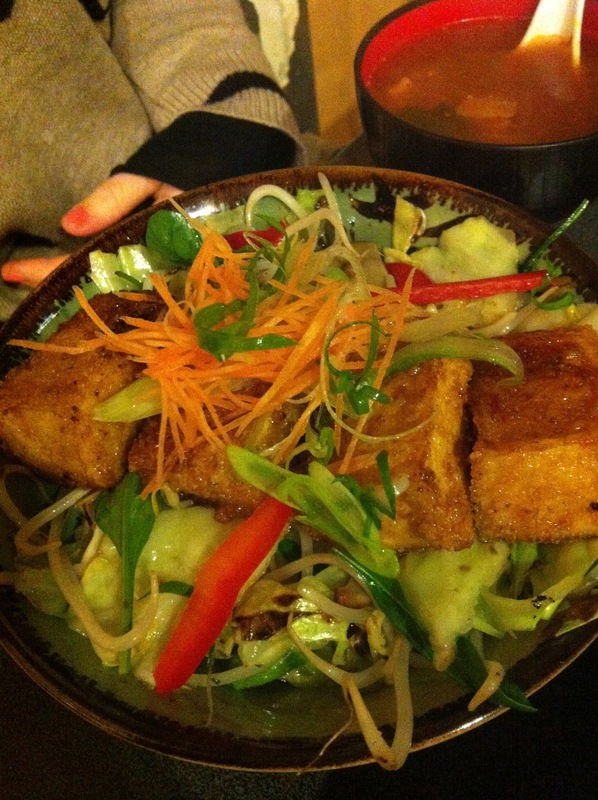 Some seriously GOOD gingered Tofu @ the Godparents. Packed with protein, iron and reasonably low in fat this bean curd is a staple food in the majority of Asian cuisine. Despite never eating much of it as a child (due to my fathers disapproval of the stuff). My first vivid memory is the Teriyaki Tofu sushi served at Yoku in Tauranga. A huge slab of the sticky coated goods perched atop its horizontal column of white rice. Delish. Many a study period or lunchtime was spent here, being the best in town it was no surprise to see your school rivals queuing up behind you. It's Teriyaki time @ Renkon. Keeping with the Teriyaki tone, another amazing dish can be found at the ever-popular Renkon. With five locations throughout Auckland, it’s a go-to in our house. Ideal for those mid-week ‘I can’t be bothered cooking moments’. Their selection of Donburi with either udon noodles or rice are topped with stir-fry veges and a protein/sauce combo of your choice. The Teriyaki Tofu Donburi is a winner. With its thin crispy teriyaki crust complementing the delicate fresh tofu inside. And unlike most takeaways you don’t feel a) guilty b) sick or c) like your adding to NZ’s growing obesity statistics. Harissa and hummus playing Husband to Tofu. From my years in Dud-city two tofu highlights included this delightfully marinated tofu roll eaten with top-notch company and coffee at Fluid espresso. The other can be found at Jizo. For any Dunedin student/inhabitant that is yet to experience their ‘original sushi’ you should probably put on your puffer jacket and take the walk down George to Princes St. I promise you will not be disappointed. But it’s their Kushiage Tofu - that I believe could convert any tofu-hater (even my Dad). At a mere $2.50 the silken tofu inside is a textural heaven. While it’s sweet, salty, sticky, hot, crispy crust is phenomenal. A flavour combo so good that I have been known to lick every morsel off the small dish. From dining next to the All Blacks, to almost missing my flight, ensuring I get my kushiage tofu fix is a high priority. And anywhere that serves complementary rice tea is more than ok by me. 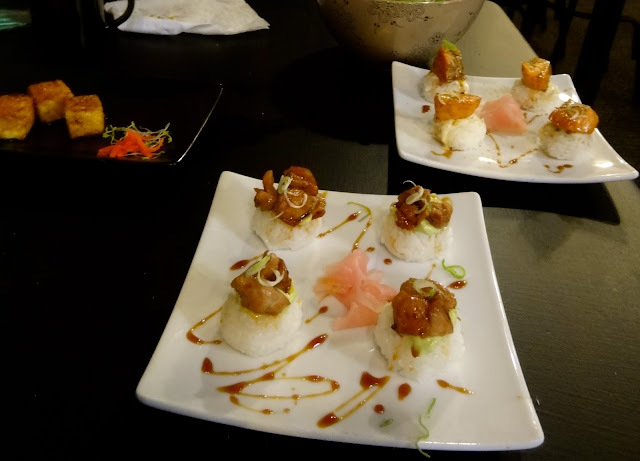 The Jizo spread - Kushiage Tofu + Salmon & Chicken Original Sushi. Back up the country, another flat favourite is KK Malaysian found on Manukau Rd, Epsom. 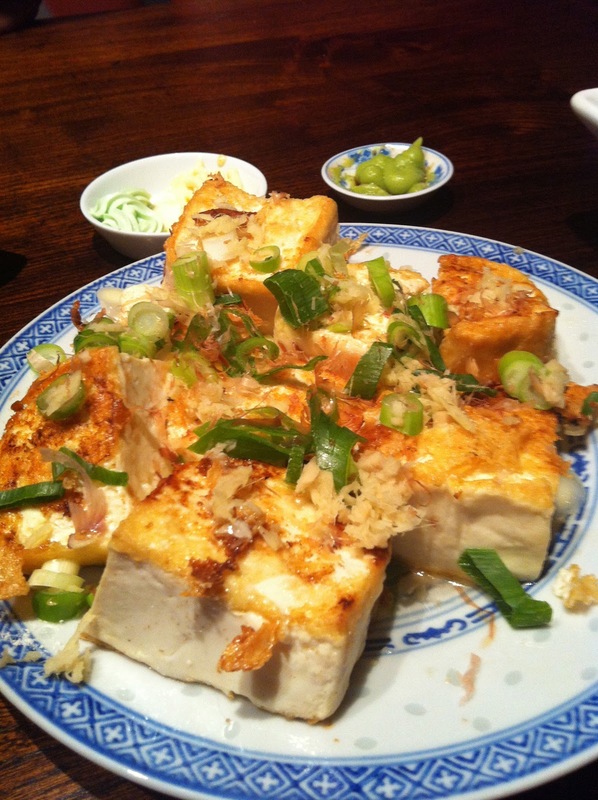 The deep-fried tofu here is infamous throughout the city. Their in house, handmade tofu is served freshly fried with a beautifully golden casing and a lusciously smooth centre. Served with julienne onion, cucumber, sweet chilli sauce and crushed peanuts – this small yet substantial $5 dish is one I’m more than happy to trade for my daily coffee. For the vego in my flat, and me – I am certain we will be eating this for years to come. The Mince Tofu is another crowd pleaser, flavoured with chicken, mushrooms and shrimp it’s a gigantic, satisfying feast for only $20. Golden cubes of greatness @ KK. Experimenting with tofu at home has been quite the adventure in the last few months. A fresh tofu, pan-fried with tamari soy, ginger & sesame dressing was quite the success at my godparents. Another was a supermarket bought version also pan fried with a hoisin, garlic soy mix served with a broccoli, asparagus medley finished with crispy shallots. Inspired by a Riverstone salad and crafted by a very welcome house guest. A Chef for a guest. Hoisin Tofu Salad w. Crispy Shallots. My most recent tofu taster was the silken tofu variety, baked with honey, soy and ginger in an oven dish. A whole tub for only $2 from the Asian supermarket was satisfyingly sweet. If you are short on cash and feeling adventurous I would recommend hitting up an Asian supermarket ASAP. Their cheap produce, chilli sauce and tofu will satisfy any budgetary or time constraints. The key to great tofu is FLAVOUR. That way texture and taste can be enjoyed simultaneously. Next time the opportunity arises I plan to create or order a sweet tofu dish, and for all those skeptical disbelievers out there, its time to challenge those tastebuds and tuck in to some Tofu!